The time of reckoning for Ayutthaya has come, it seems. 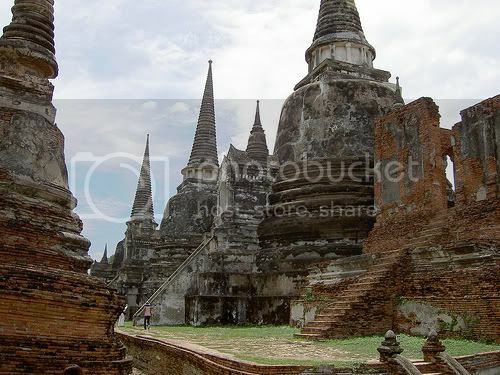 The former Thai capital will be visited by experts from UNESCO to judge its continued status as a World Heritage Site, in the wake of development work nearby, untidiness and mismanagement. Ayutthaya has for been in danger of losing its world heritage status for some time now (see here, here and here) and it looks like the inspectors have finally come. The root of the problem seems to be the lack of communication between state agencies. The official, who declined to be named, cited as an example a construction project of the local administration organisation which encroaches on the historical park. “In this case, the local administrators completely ignored the Fine Arts Department’s advice,” she said.She does not believe that it would lose the world heritage status. Once the inspections are done, Ayutthaya is expected to be up on review in July. Full details here.